You are currently browsing the The Pet Product Guru blog archives for the day Thursday, May 3rd, 2018. Most owners never suspect heart disease in dogs or cats. I had a situation where my dog developed a cough. At first, it seemed like nothing serious but it was turned out to be a serious heart condition which eventually killed him. So what are the signs that you should look for to determine whether your dog has a heart problem? The first sign that most owners notice is a cough. The reason for this is because enlarged, failing hearts allow fluid to back up in to the lungs and also press on the wind pipe. Some other signs to look for is if your dog is unusually listless or tired, rapid breathing, poor appetite, enlarged tummy, pale or bluish gums and a rapid, weak pulse. Many pets may have a heart murmur which was the case with my dog. Heart murmurs occur when a passage through the heart becomes too narrow or too wide. In middle aged cats or dogs, it means that the valve is not working properly. If you notice any of these symptoms, take your pet to the vet right away. 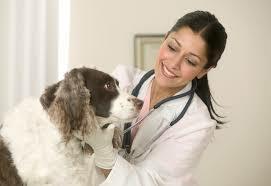 Your vet will perform tests to determine whether or not your dog or cat has a heart condition. In some cases, he may recommend pet medication. I had my dog on two different kinds of medication. His condition was advanced and on the medication, I was only able to prolong is life for six months. The greatest oldies keep you company all the time. Edgewater Gold Radio plays the best variety of oldies from the 50s 60s 70s 80s and adds in great pop standards! Edgewater Gold Radio is America’s most unique oldies station! Listen from our website: edgewatergoldradio.com.